I think it’s safe to say that it’s been a rough couple of weeks for many people - it certainly has been for me. In fact, it’s been a brutal journey for all of us this past year and a half leading up to the US election. It’s been ugly, hateful, depressing, and frankly, totally embarrassing. However, we can’t miss this opportunity to not only face the truth about how divided our country really is but also this phenomenon of instead of agreeing to disagree with someone who doesn’t share the same views, we have to become their enemy. I’ve been inspired by the work of CNN political contributor, Van Jones, and specifically a series he’s created on the network called, “The Messy Truth”. You can check it out here. In this short yet impactful video series, Jones sits down to have three conversations with groups of voters supporting different candidates in Gettysburg, PA. They are nothing short of fascinating. While it makes me unbelievably sad that the majority of the country desired change so badly that they were willing to accept a package that includes bigotry, misogyny, and authoritarianism, or at best, overlook or ignore it, I can’t say that I’m entirely surprised. I don’t need everyone to agree with me, but as soon as you make an enemy of someone with whom you have a disagreement (and vice-versa), the conversation ends. Can we heal from this? I hope so. What I do know, however, is that we don’t have a fighting chance unless we talk (and listen) to each other. P.S. Have you joined my awesome Facebook group, “The Creative Living Revolution”, yet? 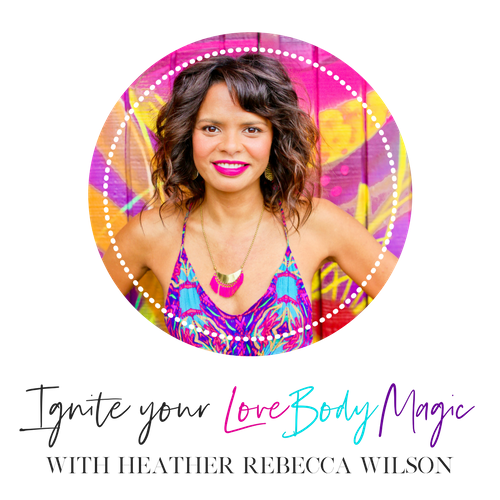 It’s the place to be for high-achieving, independent women who are done settling and instead want to activate their “creative genius” to attract the love and life they desire. Come on over and say hi by clicking here.